Hot work operations use an open flame or generate sparks, such as cutting, welding, brazing, soldering, grinding, thermal spraying, thawing pipe and installation of torch-applied roof systems. Hot work does not generally include candles, cooking operations, electric soldering irons and Bunsen burners used on lab benches and in fume hoods. Hot work is common in building construction and is a necessary part of operation and maintenance activities. In some cases, hot work is associated with teaching and research activities. Most campus hot work operations take place in a fixed location, considered a designated hot work area. However, sometimes hot work operations cannot be performed in a dedicated space. Designated areas are permitted by the local fire department to verify the area is fire-safe. Hot work conducted outside of designated areas presents high risk and requires a special permit. For work that will occur in either a fixed or temporary location, we recommend that precautions be taken to make sure the area is as safe as possible before beginning operations. If you are doing any hot work involving an open flame or sparks, you must apply for a permit from the fire service. Permit applications vary by location; for assistance, contact EH&S at 206.616.5530. Permits are issued to individuals for one-time use, or to organizational units for ongoing programs. Establishing an approved program within an organizational unit can be an effective way to reduce fire risk while eliminating the need for multiple permits. UW Facilities has developed a Hot Work Permit Program, approved by the Seattle Fire Department (SFD). This program can only be used by UW Facilities personnel. Once a permit application has been submitted, the local fire department may want to inspect the area and equipment to ensure all safeguards have been met. Once that area is established, hot work operations may occur at any time, provided the permit conditions are followed. You may contact EH&S at 206.616.5530 to help evaluate your space before you apply for a permit. Hot work outside of a designated location must be approved by the fire service in advance. The hot work operator must be qualified and have approval before starting work. A permit may be issued for a single operation or a number of activities to be conducted over a period of time. Outside contractors must obtain permits from the fire service. The fire service may issue an annual permit that may be used by qualified contractors anywhere in the jurisdiction. If you observe active hot work and have concerns, ask the construction manager to produce a permit and help ensure that the contractor is following the conditions outlined in the permit. Conditions are generally provided in writing by the fire service. Contract language must stipulate that hot work permits be obtained by the contractor and the conditions outlined in the permit followed. 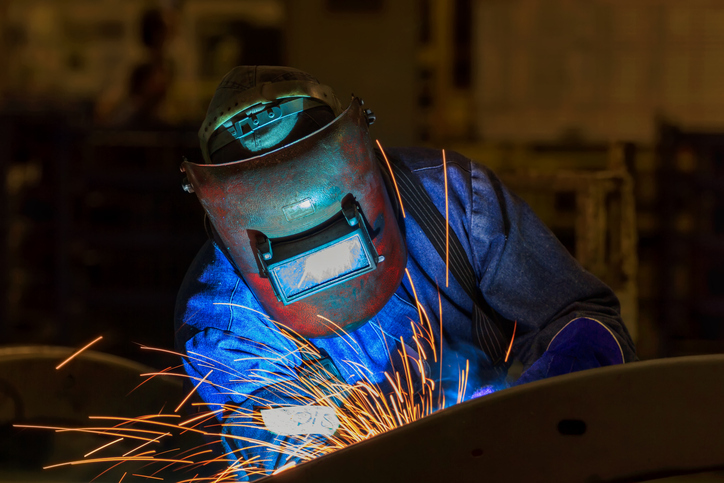 Review the safety tips in the Hot Work Hazards Focus Sheet and the General Welding Safety-Respiratory Health Hazards Focus Sheet before beginning hot works operations. In addition, each operation must be evaluated by personnel performing the work for any individual specific hazards it may pose. EH&S has an institutional oversight responsibility to ensure safety, and we provide consultation and support to units performing hot work operations. EH&S does not issue permits but may ask for organizational units to produce them. EH&S may also evaluate hot work operations to confirm proper protocols are followed to prevent fires. What are the requirements for a designating a location a hot work area? These areas are specific, fire-safe locations designated and approved for hot work operations, such as a maintenance shop or detached outside location, constructed of noncombustible or fire resistant materials, essentially free of combustible and flammable content, and suitably segregated from adjacent areas. What precautions need to be taken to begin hot work? Review the safety tips in the Hot Work Hazards Focus Sheet before beginning hot works operations. The hot work operator must be qualified and have approval before starting work. In addition, the area must be kept under a fire watch during and after hot work operations. How do I apply for a hot work permit? For hot works operations NOT conducted by Facilities Services Personnel, contact your local fire department or fire authority. Contact information for fire departments serving the UW can be found here. If your location is not listed, contact EH&S at 206.616.5530.